As some of you know, I have a six month old son. His name is Jack. And he’s awesome. He’s just on the verge of talking. In fact, his mother is convinced he’s started saying “mama,” but since there’s no video confirmation, his first words are still up for grabs. But soon he’ll be talking and learning new words. That’s where you come in. 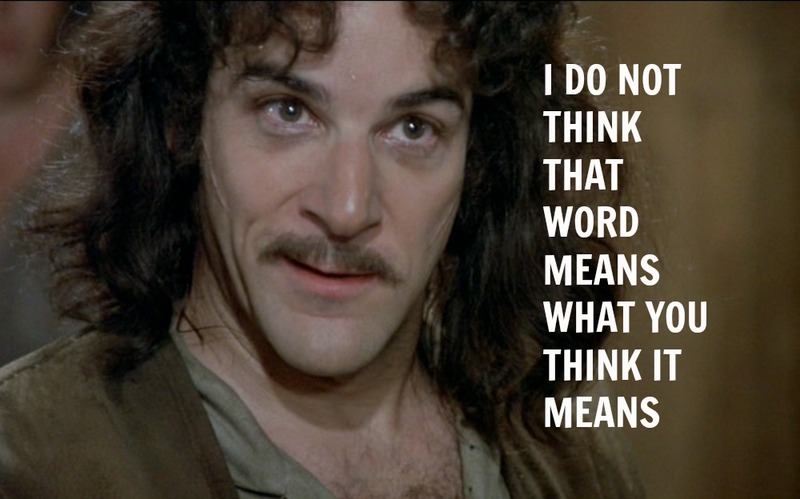 There are several words you’ve been using incorrectly this week, and it’s going to confuse my son. So my request is that, regardless of your political or religious affiliations, that you would make an attempt to use these words the way the dictionary says they should be used. This week, a woman committed suicide. Many people are calling it a “brave” and “dignified” way to die. Now I’m not looking to discuss whether doctor-assisted suicide is a good or bad thing. I’m mainly concerned with the language we’re using to describe it. “Bravery,” as I understand it, is putting yourself in danger or harm for the sake of others. Most dictionaries agree, saying that it is the ability to face danger, fear, and pain. The soldiers defending our country are brave. They put themselves in harm’s way every single day to assure that you and I are safe. Many of them will die protecting us. They face danger, fear, and pain so you don’t have to. They are brave. Christians who are being beheaded as we speak are brave. Terrorists are threatening to murder them in grisly ways unless they renounce their faith and embrace Allah. They have held to their convictions, and have been slaughtered as a result. They are brave. Brittany Maynard didn’t want to fight. She didn’t face pain. She chose to bow out early, to die of a drug overdose in her bed rather than survive as long as possible for the sake of her husband, mother, and friends. That is not brave. In any other context, we would call that cowardice. But at any rate, no one in their right mind would call that bravery. The implication is that those who have chosen to fight their illness rather than give up early have not died with dignity. My grandmother died seventeen years ago fighting cancer. She lost all her hair, lost significant amounts of weight, and was bedridden in her last days, before dying a few days after Christmas. To say Brittany Maynard died with dignity is to say my grandmother died in an undignified fashion. One was a fighter. The other was too afraid to fight. One thought of her family. The other thought of herself. One ended up losing the battle. The other gave up with a bottle of pills in her hand. My purpose is not to criticize Brittany Maynard. Really, I just want my children to know what words actually mean. We don’t need to call Brittany Maynard’s actions cowardly. That’s unnecessary, and will just make people mad. But please, for the sake of my son and his developing mind, let’s give up this ruse of calling her actions “brave” and “dignified.” Because her death was neither brave nor dignified.